With five critically acclaimed collections--Nights in the Iron Hotel (1983), Acrimony (1986), K.S. 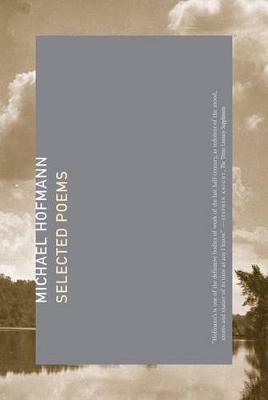 in Lakeland: New and Selected Poems (1990), Corona, Corona (1993), and Approximately Nowhere (1999)--Michael Hofmann has established himself as one of the truly original poetic voices of our time. His poetry, both public and personal, expansive and intimate, looks in three directions--toward the Germany of his birth and toward his adopted homelands, England and America--and his perspective on all three is surprising, alarmed, and alarming. Influenced by Robert Lowell and John Berryman (both of whom he has edited), Hofmann nevertheless cannot be pigeonholed in any given style or movement. Hofmann may be better known, especially in America, for his acclaimed translations than for his own poetry, but this volume promises to introduce a broad new readership to a keenly intelligent, formally rigorous, emotionally unsparing poetry that feels entirely fresh. Michael Hofmann is the author of five books of poems and many translations from the German. He edited Twentieth-Century German Poetry (FSG, 2006) and lives in London and in Gainesville, Florida. Does a Genuine European Party System Exist?